I don’t usually stress about packing, but packing for Antarctica was the most nerve-wracking experience I’ve ever had! What if I forgot something critical? You can’t exactly run to Target when you’re at the bottom of the world! Luckily, I soon learned that Antarctica packing doesn’t have to be complicated. You tend to wear the same key items over and over, and function is much more important than style. 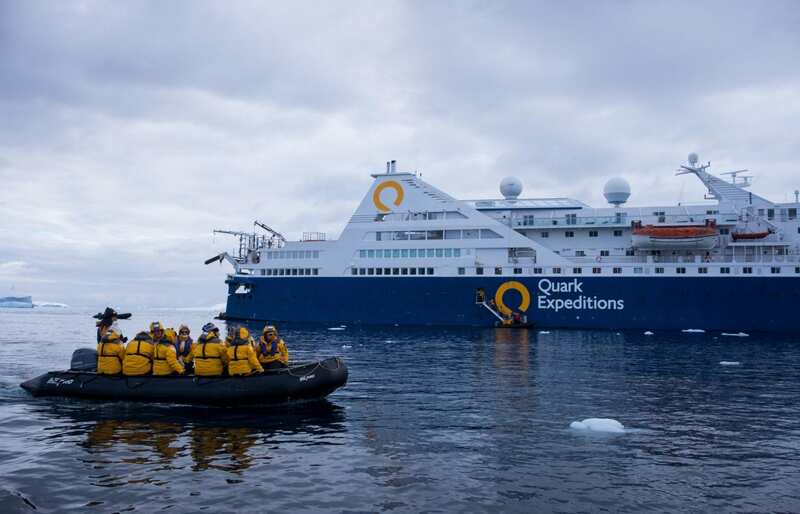 It was also helpful that I traveled with Quark Expeditions, who hosted me on this trip. Quark provides a parka and boots to all passengers, so you don’t have to worry about buying or packing those items. Additionally, Quark has a gear shop on board if you urgently need an item. This saved me when my gloves failed and I needed to buy a pair of mittens. They also stock a wide variety of base layers and outerwear, mostly from premium brands. I was pleasantly surprised that the prices were close to retail value. Still, the shop is there for emergencies — you should try to pack as best you can before you arrive. 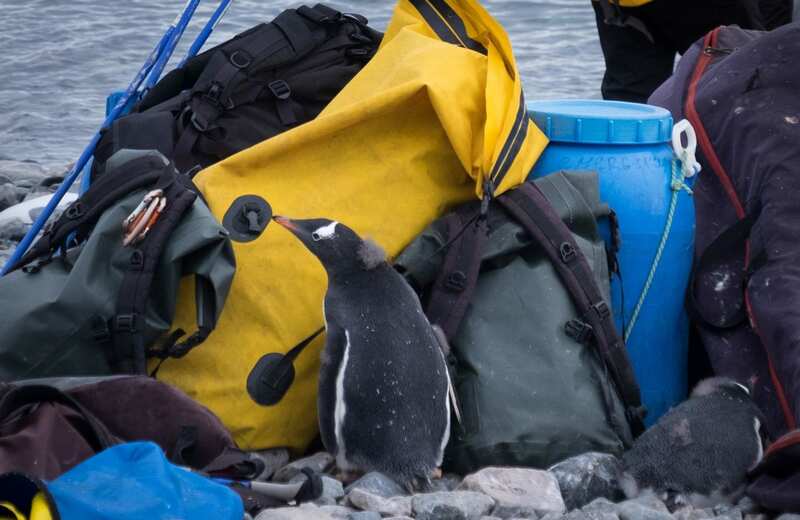 This guide has four sections: The Most Important Items to Pack, What to Wear in Antarctica, the Antarctica Packing List for Women, and What Not to Bring to Antartica. Read on for more. 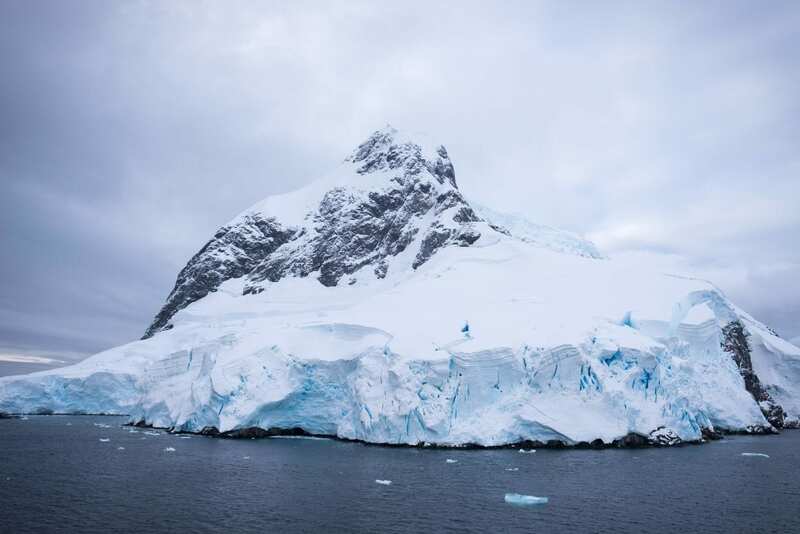 Surprise — Antarctica isn’t as cold as you think! Most people think that visiting Antarctica means packing for thirty below zero, but it really isn’t that bad at all. 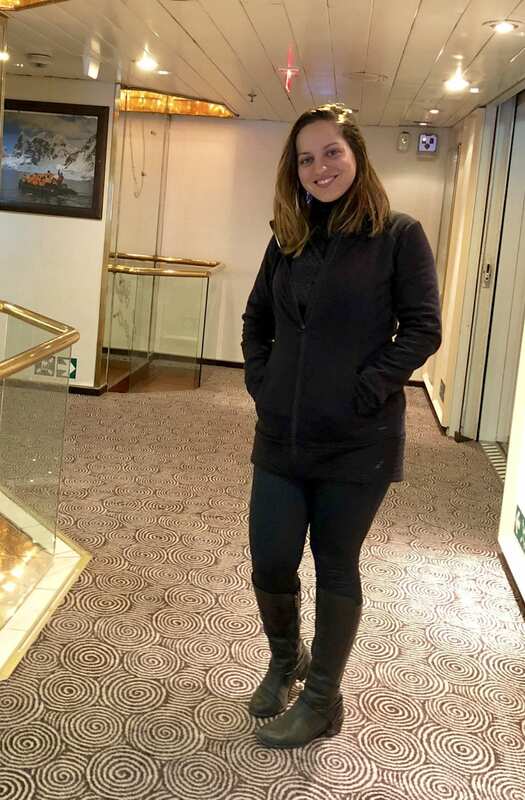 If you are visiting by expedition cruise from November to March, the way the vast majority of people travel to Antarctica, keep in mind it’s technically summer then. Most days the temperature hovers from 25 F to 35 F (-4 C to 2 C). On your trip to Antarctica, you’ll be spending only a few hours outside at a time (on my Quark expedition, we never exceeded three hours on a single excursion), but the weather will be cold, windy, and often wet. The important thing is to pack clothing that allows you to tolerate the cold for a few hours without having to go inside. 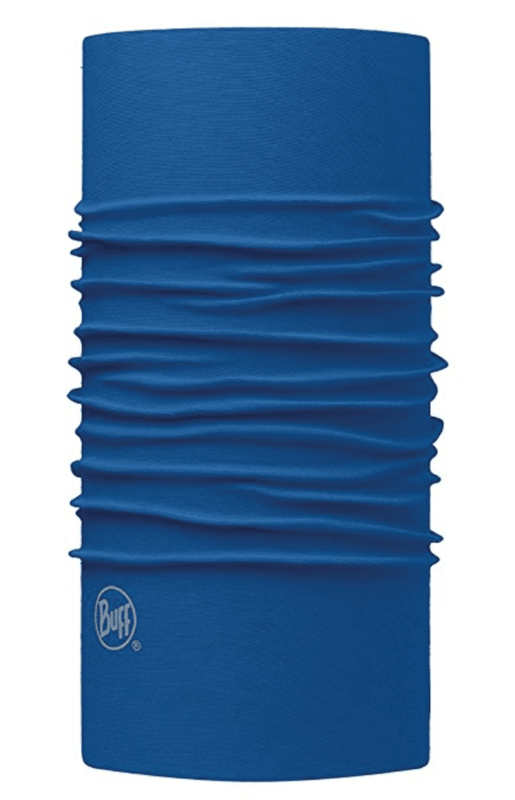 Half the battle is insulating your body with base layers. The other half is covering the outside with waterproof and windproof outerwear. Do those two things and you’ll be fine. No matter who you are, the following items are absolutely essential. Don’t go to Antarctica without any of these! The easiest way to be miserable in Antarctica is to have cold, wet hands. Don’t scrimp on this one — get the best pair you can find, and don’t leave it to the last minute. I started my trip with a pair of gloves that claimed to be waterproof but left my hands soaked and frozen. 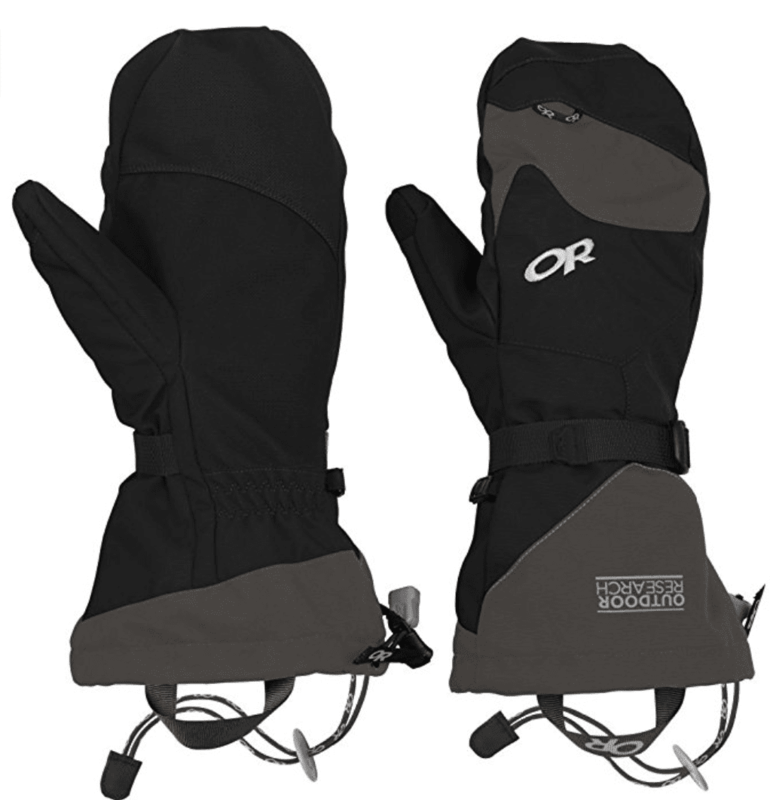 Thankfully I was able to purchase a pair of Outdoor Research waterproof mittens from Quark’s on-board gift shop. They kept my hands warm and dry. Honestly, I hadn’t worn mittens since I was a kid, but I preferred them enormously to gloves on my Antarctica trip because I was able to hold a hand warmer in each hand. Your fingers are the part of your hands that get the coldest, and squeezing the hand warmer will leave your fingers toasty. Mittens worked just fine for kayaking and I was even able to operate my camera’s dials with them! Additionally, it’s a good idea to bring a pair of smartphone-friendly running gloves or glove liners underneath. My running gloves worked great, but I found I actually preferred to go gloveless underneath the mittens. You’ll figure out what works for you. I would not have survived Antarctica without hand warmers. They’re little packets that warm up when you open them and they last for up to 10 hours. I ended my first excursion to Stonington Island with frozen hands and toes, but once I started using hand warmers on my toes and in my mittens, I never had that issue again. I tried several brands in Antarctica but I found Hot Hands to be the warmest and last the longest. Hot Hands also sells toe warmers, which have a sticky backing, but I didn’t think that was necessary — I simply stuck a hand warmer between my sock liners and socks and they stayed in place. 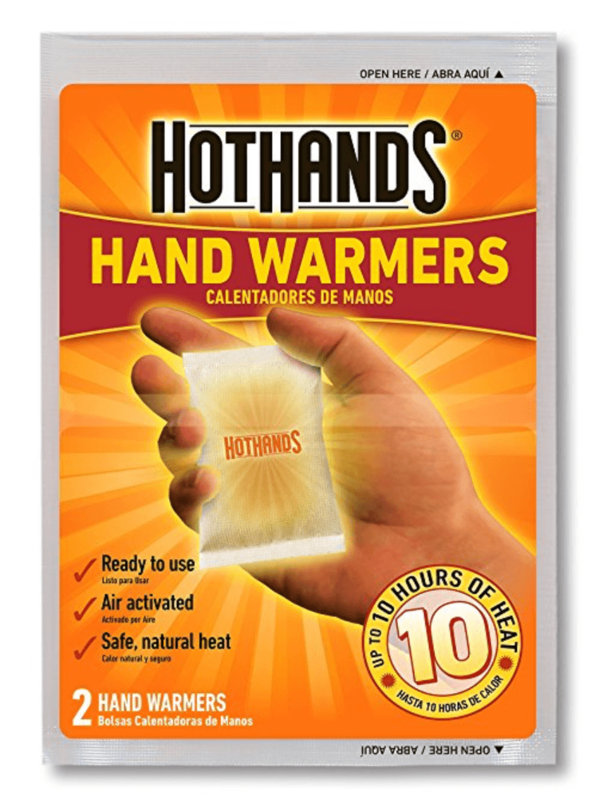 You can save money by simply buying a big pack of hand warmers for both hands and toes. Buy two packs of two for every day that you’ll be exploring Antarctica; you don’t need them for sea days. The Drake Passage, between Ushuaia and Antarctica, is home to some of the roughest seas in the world. 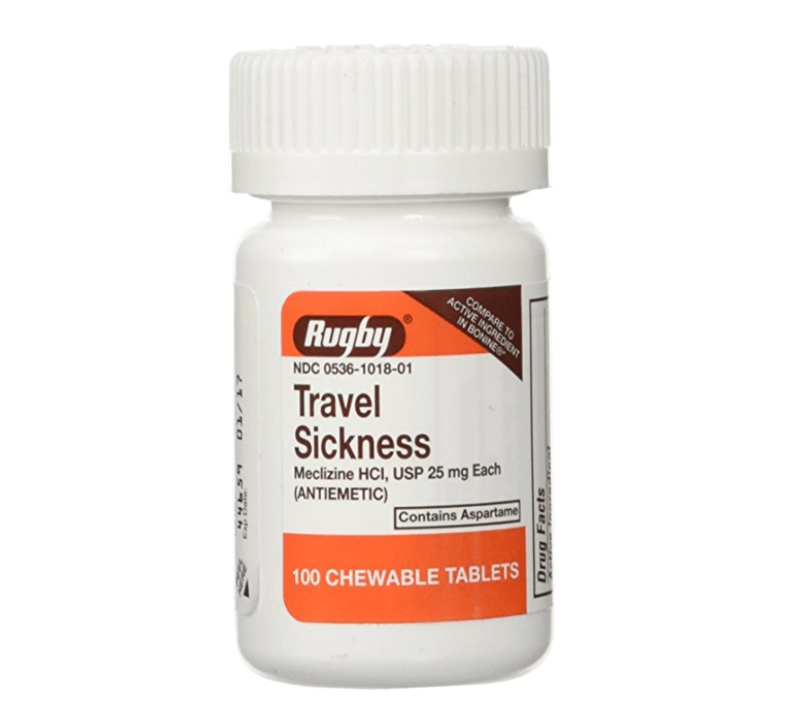 If you’re traveling this route by ship, you will want to have some kind of seasickness medication, even if you don’t ordinarily get seasick. At the very least, pick up some meclazine (the generic form of non-drowsy Dramamine). You may want to talk to your doctor and get a prescription for the Scopolamine patch, which can be very effective for some people. Do note, however, that there can be side effects. The patch worked well for me at first, but after a few days it gave me severely blurred vision, which was terrifying. At the ship doctor’s recommendation, I took the patch off immediately; my vision improved in hours and was back to normal 24 hours later. I stuck to meclazine for the journey back. If you decide to try Scopolamine or another prescription, you may want to try it at home first to see how you react. That said, my side effects didn’t show up until I had been on it for several days, so you never know. As always, when considering medication, talk to your doctor. Some people like to wear motion sickness bands as well, which use acupressure, not medication, to keep nausea at bay. Ginger drops or chews can be helpful to people feeling nauseous as well. Layering is the name of the game in Antarctica, or in any cold climate. You’ll get an extra layer of warmth and protection by wearing base layers, or thin but warm layers that you wear beneath your regular clothes. Merino wool is the gold standard for base layers, though do make sure you can wear wool before leaving on your trip, as it irritates some people. The gold standard is Icebreaker, and when I polled my winter adventure traveler friends, Icebreaker merino wool tops and leggings were recommended as the best option. However, I actually bought Uniqlo HeatTech base layers, which cost a fraction of the price of the Icebreakers. I was surprised at how much I loved them! Even after wearing them several days in a row, they didn’t smell at all! Every day, I wore the Uniqlo Women HeatTech Crew Neck Extra Warm Scoop Neck T-Shirt and the Uniqlo Women HeatTech Extra Warm Leggings. 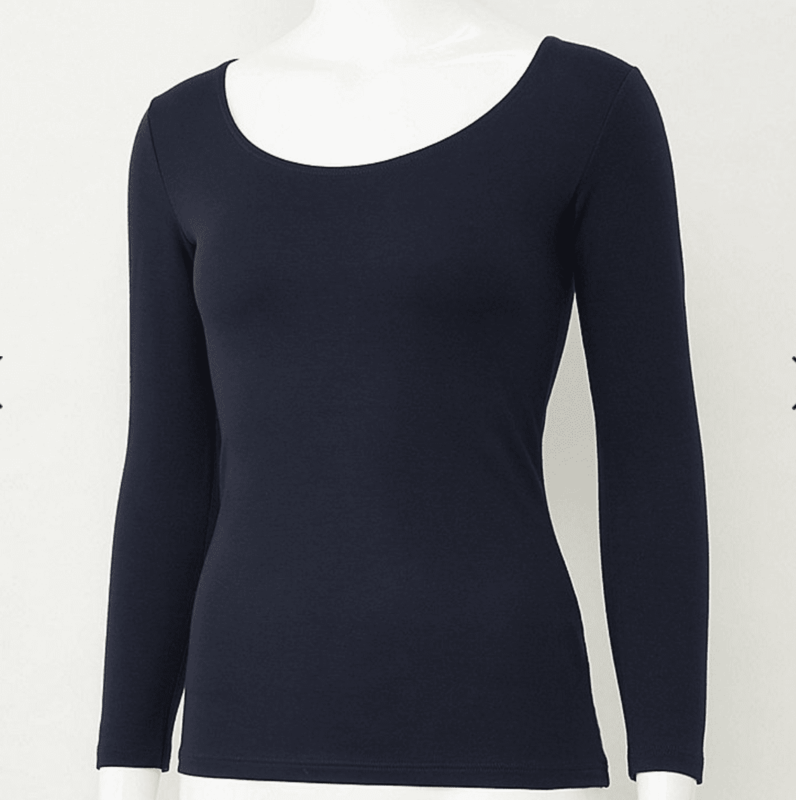 I did buy this Icebreaker merino wool turtleneck just to compare, and I found it nice, comfortable, and it kept me a bit warmer, but I overall preferred the feel of the Uniqlo top. 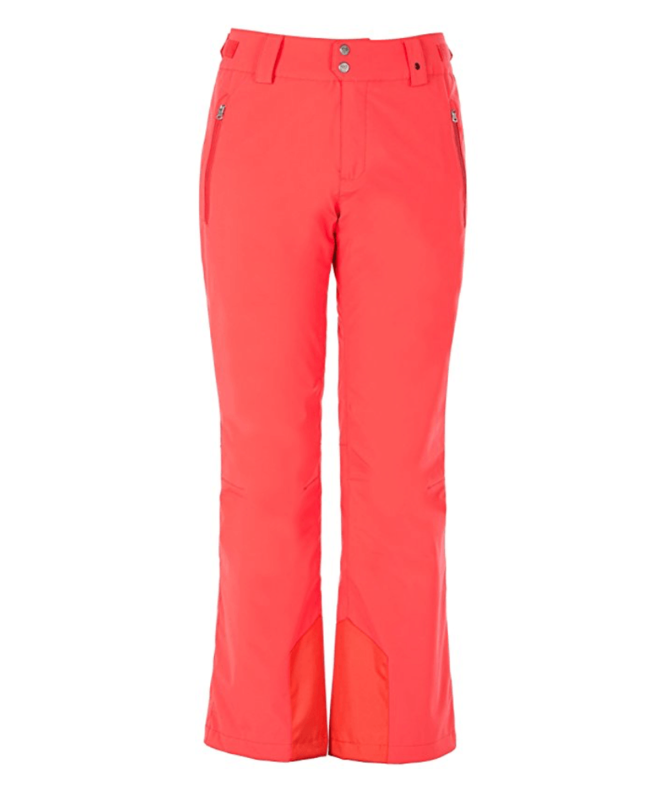 These are just your base layers — you pile more clothing on top of these. See more on that below. 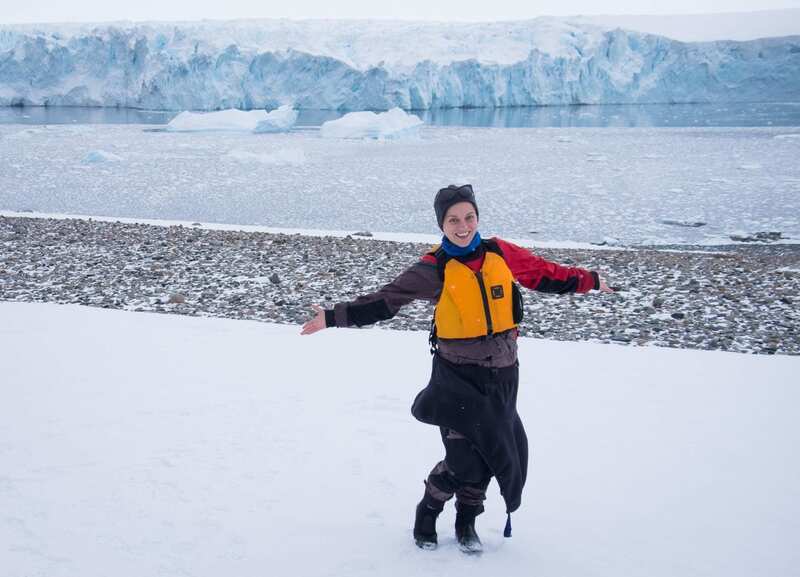 Waterproof pants are a requirement in order to ride the zodiacs (rubber boats) in Antarctica. Make sure the outer layer of your pants hangs over your boots. Tucking your pants into your boots will leave your feet wet and cold. I brought the Fera Niseko Insulated Pant and was very happy with them. Also, if you’re with a company like Quark that provides a jacket, you might want to get pants in a color other than black so you stand out more. I loved my baby blue pants — they actually matched Quark’s lifejackets AND my Buff and nails, so it was nice to coordinate! Antarctica is very dry and the sun is strong. You need something stronger than what you need at home. This isn’t the place for Chapstick and that scented hand lotion you got for Christmas. If you don’t already have a moisturizer you prefer, bring one with SPF of at least 15. Bring a medicated lip balm with sunscreen as well; your lips will dry out quickly without it. If it’s not in your moisturizer, sunscreen is good to have (I prefer SPF 45). 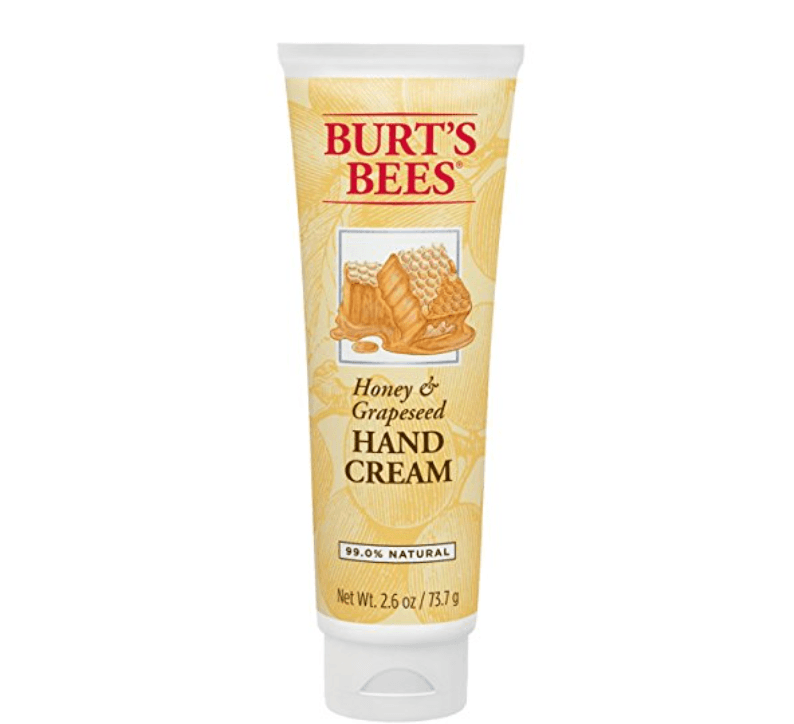 Hand cream is the one item I regretted not packing. If you’re traveling with Quark, you’ll sanitize your hands constantly; many other cruise and expedition companies do this, too. Why? It keeps illness from breaking out. I appreciated the hygiene but it left my hands very dry; some lotion would have sorted that out. To do the Polar Plunge! 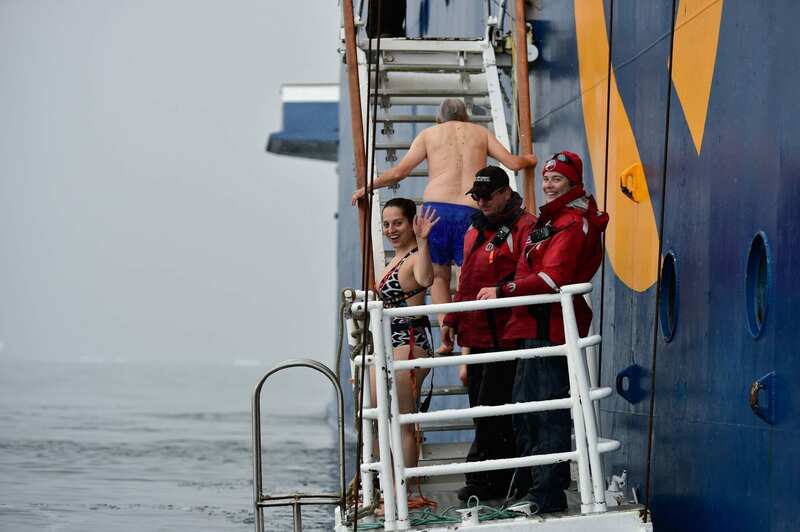 Most Antarctica expeditions include a chance to jump into the icy waters. It sounds crazy but it’s a LOT of fun and 87 of our 200 guests did it! Even if you doubt you’ll do it, pack a bathing suit just in case. The peer pressure can be pretty strong for this activity! My suit was by Trina Turk; this one is similar. A Buff was a casual purchase that became one of the most useful items I packed for Antarctica. It could be worn as a neck warmer, face warmer, headband, or side-of-face protector. When I needed additional cover, I brought the back of the buff on top of my head and kept the front of it below my chin, which gave me protection on the sides of my face, and I could bring the front up to the bottom of my nose or even the bottom of my eyes for extra protection from the wind. It also dried quickly. At the very least, you need a hat that covers your ears. I used a North Face beanie and was happy pairing it with my Buff. Our kayaking guides wore beanies on top of baseball caps for warmth and shade. 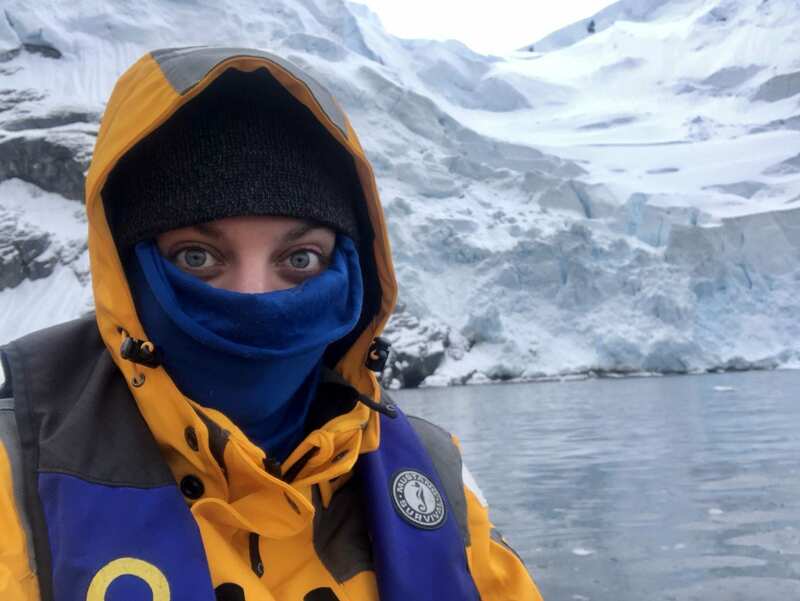 Two of our most experienced fellow voyagers, on their fourth Antarctica kayaking trip, each paired a balaclava-like hood with a Buff; one also wore a baseball cap. You could even wear a baseball cap with earmuffs if you wanted. Think function, not style. 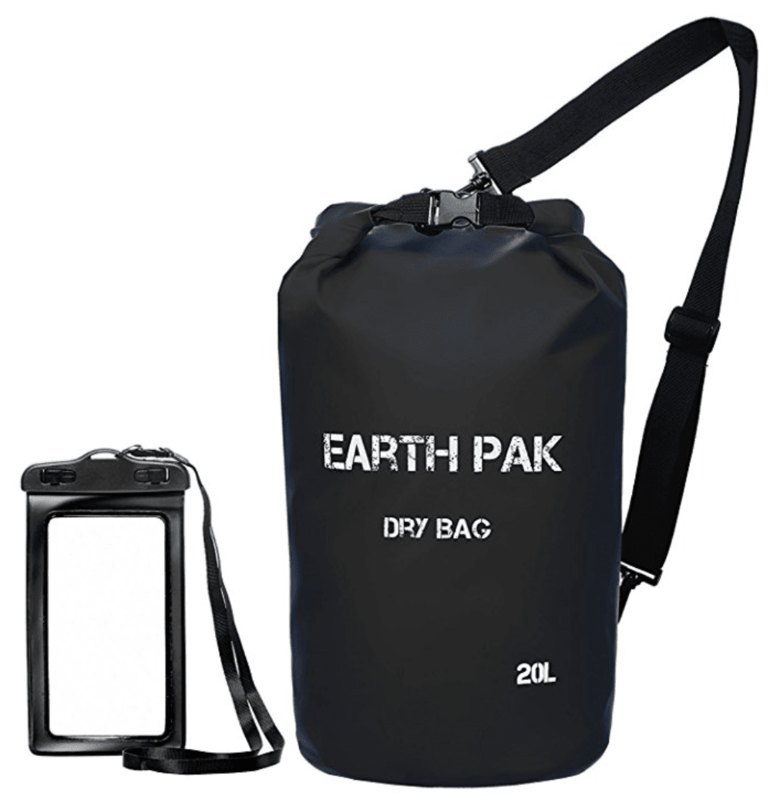 I’ve been a dry bag evangelist for years — ever since I was shipwrecked in Indonesia in 2011. I had to jump off a sinking ship in the middle of the night and swim to shore, but because I had a dry bag, I was able to save my phone, camera and debit card. Since then, I always bring dry bags with me on my trips — usually a large one, and sometimes an additional small one depending on the trip. In windy and wet Antartica, I used a large dry bag with my camera backpack inside it for zodiac excursions and landings. When kayaking, I used a small dry bag attached to the kayak. Several people on the trip had dry bag backpacks, and I was a little jealous of them! I might pick one up for my next adventure trip. 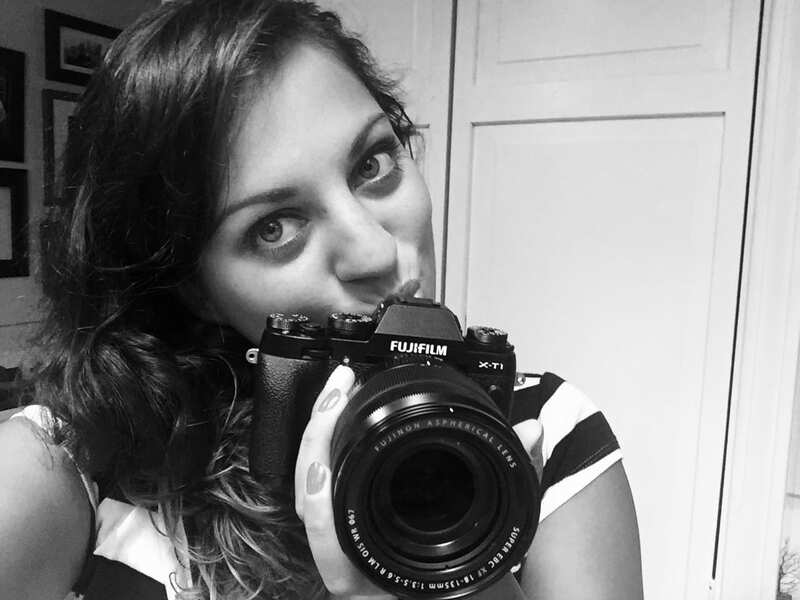 You will take far more photos than you usually take on trips. Antarctica has a way of spellbinding you over and over. It’s always smarter to have multiple SD cards rather than one big card, just in case it fails. A few SanDisk 64 GB cards should hold you over. Batteries tend to drain quickly in colder weather, so I brought five batteries just to be safe — but not one battery died on a single excursion. Honestly, going out on roughly 2-2.5 hour excursions at 32 F (0 C) isn’t a major drain on your battery. The big drains start at lower temperatures. Even so, it’s smart to have a backup or two just in case, and if your batteries start dying quickly, you may want to keep them zipped up next to your body or with a hand warmer. 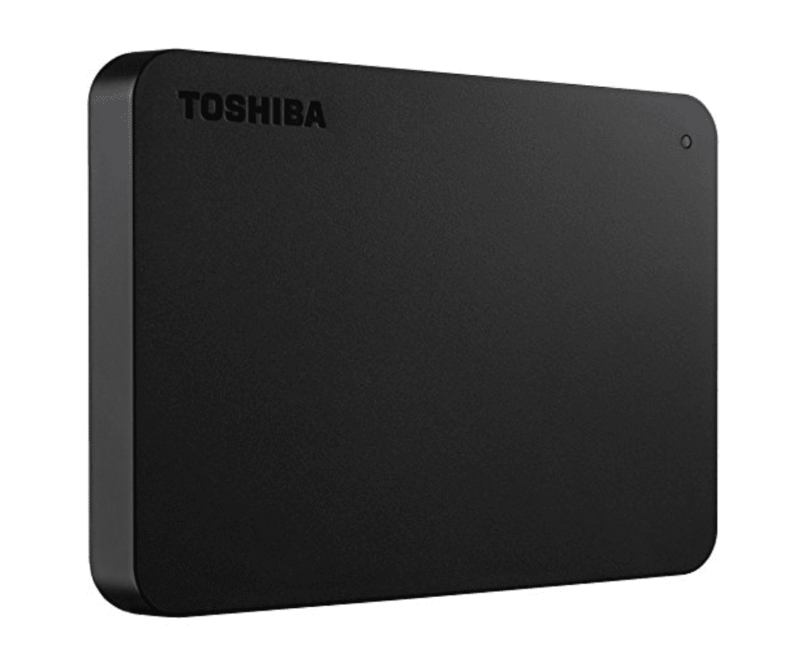 Back up your photos in multiple places if you can. A tiny thumb drive probably won’t be enough — instead, bring an external hard drive so you can share photos with your shipmates. Don’t worry about this if you’re a casual photographer, but if you’re a serious hobbyist or pro, bring at least one extra body. Antarctica is the kind of destination where you shoot scenery and wildlife simultaneously, which requires different lenses. Plus it’s very wet, which makes changing lenses more of a challenge than usual. I thought shooting in Antarctica would be similar to being on safari in Africa — not whatsoever! On safari I tended to shoot 98% wildlife to 2% scenery and the weather was much nicer, so having one body and changing the lenses wasn’t a big deal. 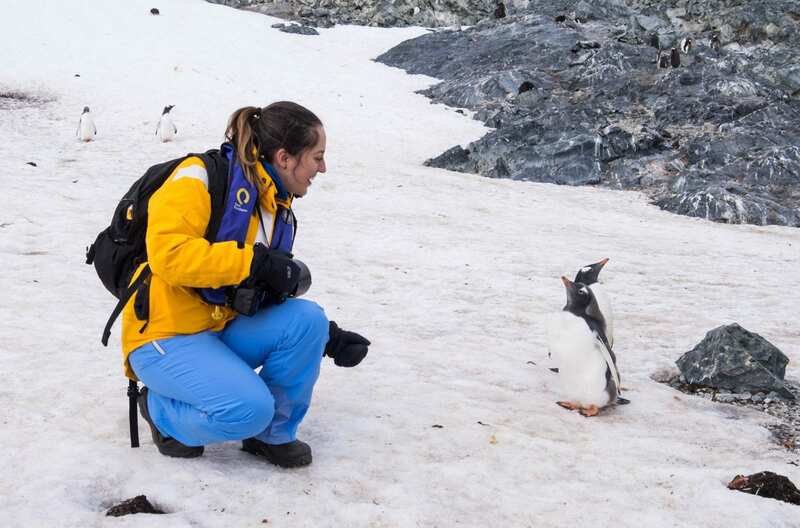 Antarctica was a constant assault of beauty — SCENERY, WILDLIFE, SCENERY, WILDLIFE! I rented my extra body, as well as my zoom lens, from BorrowLenses.com. Here’s a coupon for $20 off your first order — I’ll earn $20 too. What Should Women Wear in Antarctica? 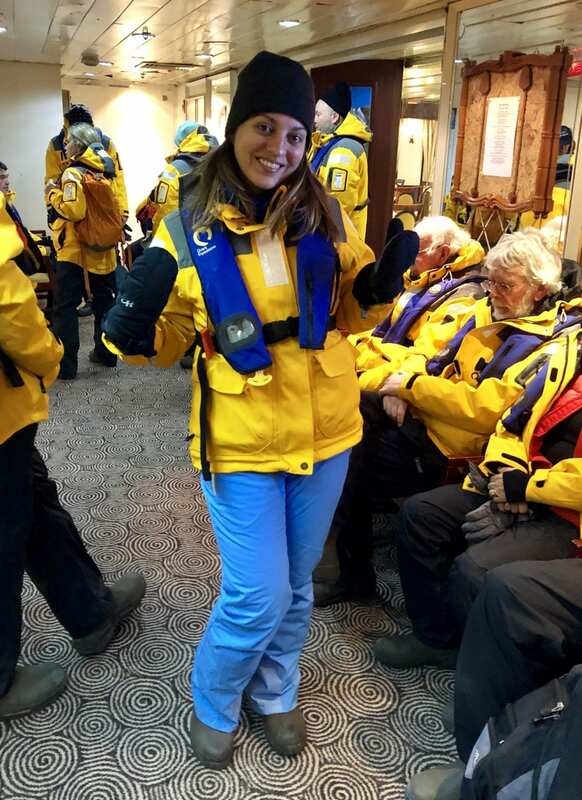 I’m happy to share my Antarctica outfits with you! It took a few days to figure out what worked best, but by the end of the trip I had outfits that worked perfect for me. The most important thing? Layer for warmth! On excursions, I would wear two layers — a base layer and a second layer — before topping them off with either my regular outerwear or kayaking outerwear. And when I was hanging out on the boat, it was all about comfort. BASE LAYER: On top of my underwear and bra, I wore a Uniqlo Warmest Base Layer top, Uniqlo Warmest Base Layer leggings, and Fox River sock liners. SECOND LAYER: On top of my base layer, I added a Uniqlo Ultra Light Down Jacket, Gap GFAST Blackout leggings, and Heat Holders socks. In between the sock liners and socks I had a Hot Hands hand warmer resting on top of my toes. OUTERWEAR: For zodiac cruises and landings in Antarctica, on top of my base layer and second layer I added my Quark-provided parka, Fera Niseko waterproof pants, Quark-provided boots, Buff, North Face beanie, sunglasses, OR waterproof mittens with a Hot Hands hand warmer inside each one, and Quark-provided life vest. KAYAKING: Kayaking in Antarctica requires specialized outerwear that will likely be provided by your expedition. On top of my base layer and second layer, I wore a full-body drysuit, booties, life vest, and kayaking skirt, all provided by Quark. I added my Buff, North Face beanie, sunglasses, and OR waterproof mittens with a Hot Hands hand warmer inside each one. ON THE BOAT: For hanging out on the boat, you want to be comfortable. I wore my Athleta Stronger Hoodie (honestly, this is THE BEST HOODIE IN THE WORLD — cozy, long, and a beautiful shape), any random t-shirt, and my Gap GFAST Blackout leggings, and I kept on my sock liners, Hot Hands hand warmers (on my toes), and Heat Holders socks for added coziness, plus tall black leather Ugg boots that worked both inside and outside. Between my morning and afternoon excursions, I just threw the hoodie on top of my base layers and added the boots. Note: these outfits were what worked best for me, but you might prefer something different. You might prefer something a bit warmer or something a bit cooler. You might prefer to wear only one layer when kayaking or hiking and wearing more when on a zodiac cruise. (And you may be morally opposed to the idea of leggings as pants. Hey, no judgment!) Bring a few options if you’re not sure what will work. Outfits for your layover in Buenos Aires, Ushuaia, Santiago, Punta Arenas, etc. Depending on the length of your Antarctica expedition, you may want to have your laundry done by the staff or do your own laundry in the sink. It will save you packing space. I paid to have some underwear and tops laundered, and I found Quark’s prices to be quite reasonable. Antarctica is so windy and wet, it will destroy these via rain, seawater, and/or penguin poop. Leave them at home. My good friends at Speakeasy Travel Supply sent me some beautiful new minky scarves to model there, but they would have been destroyed by Antarctica weather. I took my modeling shots on the boat on a nice day, posing in front of mountains. I’m going to save them for a less brutal destination. Pack it if you have a layover in Argentina or Chile, but your hood and dry bag will take care of you in Antarctica. Posing in outlandish outfits in increasingly exotic destinations has become an Instagram trend over the past few years. While I understand that you might want to do this, I urge you to reconsider doing so in Antarctica. It’s one thing to wear a nice dress at Machu Picchu or the Grand Canyon. But when you do so in a place as rugged and isolated as Antarctica, you put yourself at risk of injury. When you’re perched on a mountain in a minidress and heels, wind, rain, and charging seals can lead to rolling an ankle, frostbite, windburn, or falling in penguin poop. And if you need serious medical attention, you end up jeopardizing everyone’s trip. My recommendation? Go crazy with a fun bathing suit for the Polar Plunge. The Polar Plunge is different because it’s tightly controlled and supervised by staff, including a doctor. If you bring stilettos or other shoes to Antarctica, you will be bringing traces of dirt, plant matter, and bacteria from your home country. This is absolutely forbidden. If you’re desperate, ask your expedition staff if there’s a way to safely disinfect them, but get ready for the answer to be no. Double-Check What Your Expedition Provides! Quark provides your coat, boots, and all kayaking gear. Double-check what is included on your expedition so you don’t pack anything you don’t need. This post is brought to you by Quark Expeditions, who hosted me in full on this trip and covered most of my expenses including the full cost of the expedition, kayaking supplement, two nights’ accommodation in Ushuaia, and round-trip airfare from New York. I paid for all incidentals, staff gratuities, gear excluding the Quark parka, and all expenses in Ushuaia excluding the hotel. All opinions, as always, are my own. Have you been to Antarctica? What would you add to this packing list? The post What to Wear in Antarctica: Packing List for Women appeared first on Adventurous Kate.